Built for the 2018 cruising season, the MV New Star is a deluxe vessel that features the latest state-of-the-art technology, equipment and amenities. Safety features are of the highest standard. On board, guests can relax in spacious and comfortable cabins and in expansive public areas that offer exceptional panoramic views of the spectacular rolling scenery. There is a large restaurant with a canopied outdoor lounge, and a partially covered sun deck offering ample sun lounger seating. To the rear of the ship is a swimming platform with ladders for easy and direct access to the water during scheduled swim stops. 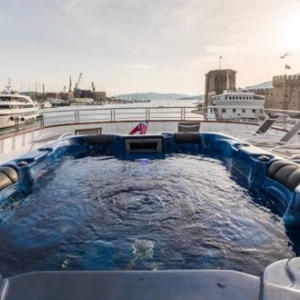 The deluxe motor yacht MV New Star was built for the 2018 cruising season and comfortably accommodates up to 38 guests in 19 air-conditioned cabins. The 46 m vessel is fully equipped with the latest state-of-the-art safety features and amenities. Guests have access to spacious public areas, such as the elegant salon-restaurant and the outdoor lounge with comfortable sofa seating and tables. 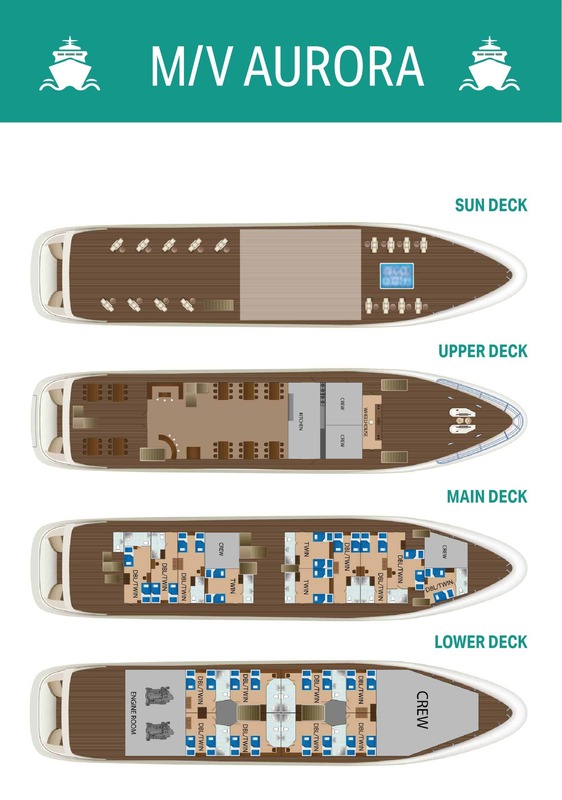 The large sun deck boasts sun loungers, deck chairs and a Jacuzzi for enhanced relaxation. To the stern of the ship there is a swimming platform with ladders that provide easy access to the sea. 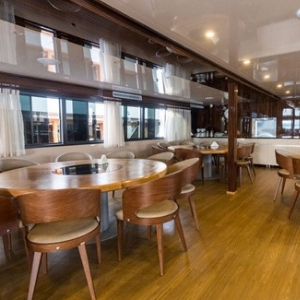 Accommodating up to 38 guests, the MV New Star’s 19 air-conditioned cabins offer ample space and luxurious comfort during an intimate small cruise adventure. The cabins are arranged over the main and lower decks and feature a private en suite bathroom with shower, flat-screen TV, wardrobe, desk, hairdryer, in-room safe and a selection of complementary toiletries. 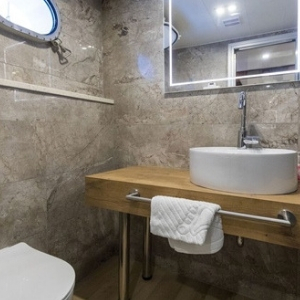 The standard double and twin cabins also boast windows or portholes. The cabin décor is elegant and timeless and finished with chic designer touches.